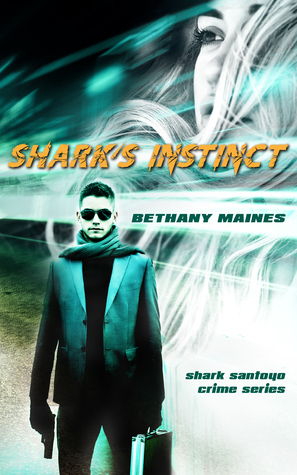 http://bethanymaines.com/wp-content/uploads/2019/04/Shark3-400x640.jpg 640 400 Bethany Maines http://bethanymaines.com/wp-content/uploads/2016/08/Aug2016-Logo-op3-300x69.png Bethany Maines2019-04-23 16:29:442019-04-23 16:29:46Shark's Hunt Release! This week I’m going to take part in a live reading event called Noir at the Bar. It’s a fun event that focuses on crime tales and the forties pulp-fiction style. I’m excited to participate, but as usual it throws me into a tizzy of what to read. Short stories come in all shapes and sizes but reading for an audience is quite different. Not every story translates well to an audience that’s slurping their way through cocktails and appetizers. I would, of course, love an audience to hang breathless on my every word, but even when an audience comes specifically to see an author it’s very hard to get that level of studiously quiet audience participation. Through the variety of readings that I have experienced I’ve developed the theory of “joke” short stories for readings. Not that a reading has to be funny, but that it should be constructed like a joke. A man walks into a bar at the top of a rise building. It’s a swanky place, but there’s a guy in a suit and glasses slumped at the bar. “I can’t believe this view,” says the man, looking out the window. “Yeah, but you’ve got to look out for the cross-winds. They’re killer,” says the drunk guy, brushing a curl of dark hair off his forehead. “What are you talking about?” asks the man. The drunk guy stumbles off his bar stool. “Here I’ll show you.” He opens the window and steps out, but the winds sweep in and he simply hovers in air and then steps back into the bar. “Give it a try,” says the guy in glasses. The story has to have a pay-off or the audience sort of stares at you like cows in a field. It doesn’t have to be a funny pay off, but there has to be some sort of solid finish that gives an audience a feeling of conclusion. Usually, it’s some sort of twist that reveals the truth or that gives the audience the key to understanding the story. I’ll be reading a condensed version of a short story from my Shark Santoyo story. Hopefully, Noir at the Bar enjoys what I’ve selected for them. Wish me luck! 2018 is set to be a very big year for me. I have been working feverishly through 2016 and 2017 to bring out multiple projects and 2018 is the year that many of those projects are bearing fruit. Take a peek at my upcoming releases! I will be part of a new series from my publishing company called Galactic Dreams featuring stories that are part science-fiction, part fairy tale, part romance and all adventure. 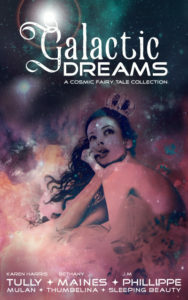 Galactic Dreams Volume 1 will feature 3 novellas of fairy tales “reimagined for a new age—the future,” including Soldier, Princess, Rebel Spy (Mulan) from Karen Harris Tully, Aurora One (Sleeping Beauty) from the Stiletto Gang’s own J.M. Phillippe and When Stars Take Flight (Thumbelina) by me. Pre-orders will be available next week, but if you want a chance two win 2 of the three stories for free, check out the rafflecopter below! When Stars Take Flight – Kidnapped by the To’Andans, tortured by the Moliter, and rescued by Sparrow Pandion—a spy who hides a secret pain—Alliance Ambassador Lina Tum-Bel is up against a galaxy full of trouble as she attempts to rebuild the Interstellar Alliance. Her training says that she can’t trust her handsome rescuer, but maybe together, she and Sparrow can learn to fly. Book 2 of the Shark Santoyo Crime Series returns to the suburban underworld of teenage drug dealers and gang enforcer Shark Santoyo as he tries to figure out what to do with a bowling alley and an ATF Agent who is out to get him. The sequel to An Unseen Current will finally be available in June. This quirky cozy mystery series features 87 year-old, ex-CIA agent Tobias Yearly and his granddaughter Tish bickering, tackling home improvement projects, and solving mysteries in the San Juan Islands of Washington State. 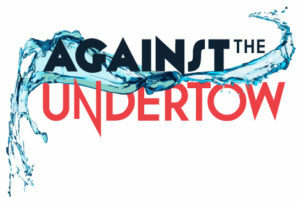 In Against the Undertow, handsome Sheriff’s Deputy Emmett Nash, was just accused of murdering his ex-wife’s boyfriend, and Tish and Tobias must face down hippies, cops, and psychotic event planners to solve the mystery and save their friend. One Shark just isn’t enough. This time, Shark is back in the city and facing some serious problems as a gang war erupts. December – A Christmas Short? Maybe. We’ll see if I make it December. http://bethanymaines.com/wp-content/uploads/2018/01/GD_FeaturedImage-300x300.jpg 301 301 Bethany Maines http://bethanymaines.com/wp-content/uploads/2016/08/Aug2016-Logo-op3-300x69.png Bethany Maines2018-01-24 19:56:392018-01-24 19:57:32New for 2018! Ack! I should be baking. Or possibly cleaning my filthy office. Or writing any of the multiple stories I’m supposed to be completing. It’s crunch time for me. I’ve got a sci-fi novella that is due back from the editor at any second (more info to come after the holidays! ), a Christmas short story that needs completing ASAP, and mystery novel that is supposed to be way more underway than it is. And my business partner at my day job is about to go on maternity leave at any moment. I could use a holiday. Oh, wait, one has just turned up. Now I get to add baking to the list. So excuse me, if I just complain for a minute and then dash off to put a pie in the oven. But in the spirit of the holidays, how about a chance to win a print copy of Shark’s Instinct? Reviewers are calling it an “amazing mystery with loads of action.” Click the link below to enter! http://bethanymaines.com/wp-content/uploads/2016/08/Aug2016-Logo-op3-300x69.png 0 0 Bethany Maines http://bethanymaines.com/wp-content/uploads/2016/08/Aug2016-Logo-op3-300x69.png Bethany Maines2017-11-22 23:52:332017-11-22 23:53:16Crunch Time! Today I’m discussing the absolutes of art. Shark’s Instinct: Fresh out of prison and fresh out of luck, twenty-something Shark wants back into The Organization. But when Geier, the mob boss with a cruel sense of humor, sends Shark to the suburbs to find out who’s been skimming his take, Shark realizes he’s going to need more than his gun and an attitude to succeed. With the clock ticking, Shark accepts the help of the mysterious teenage fixer, Peregrine Hays, and embarks on a scheme that could line his pockets, land him the girl and cement his reputation with the gang—if he makes it out alive. $2.99 on sale today! BUY NOW! Absolute number 2: Nothing is absolute and artists spend a lot of time thinking about that. In our current climate of politics, disasters, and protest, I’ve been listening to what a lot of artists are feeling. And by artists I mean everyone from fellow writers and graphic designers, to fine artists and poets. I know from the outside that most people think of the creative set as a homogeneous mass of weirdos. Which, weird, I’ll grant you, but homogeneous is not, in any way, accurate. Like any family there are fractured in-fights, cultural differences between the “cousins” of fine art and design (or poets and novelists), there are fights over pecking order and definitions and what it all really means. But most artists when pressed will say that although they have their preferences, their set rules that they use, that most of the time, there is no absolute. Don’t ever pair two serif fonts, don’t ever write a novel in the first person, don’t use Papyrus for a logo (ever, no seriously)… Unless it works, in which case, you should absolutely do that. Absolutes in art and artists are few and far behind. Which is why I think our current political climate is striking artists particularly hard. It’s as though we’ve all been toddling along enjoying the gray areas and we’ve run smack into the thirty percent of our population that only believes in black and white. Not that they live in black and white (because no one can). But they only believe in black and white and they want everyone else to bow before the almighty absolute and give them the peace of mind of being right. Arguing with someone who refuses to see the gray is pointless. Showing art full of color to someone who doesn’t see the subtle shades of the rainbow only makes them turn away. Many of the artist’s I listen to feel despair. They feel like their art has become frivolous when they see the colors being eradicated around them, but they can’t seem to make the leap to protest art. Nine months into a presidency that does not see the value in anyone who isn’t male, straight, or white, I would like to say that all art is protest art. To create joy, beauty, and harmony, to paint with many colors instead of the ones that have been chosen for us is protest art. I encourage my artist friends to follow their passion, take action, make art, refuse to go away or step back. Use every damn crayon in the box. A New Series with Bite! I’ve been working very hard this year on multiple projects and I’m finally beginning to be able to share some of them with you. I’m excited to announce that October will see the release of Book 1 of my new Shark Santoyo Crime Series. Launching a new series is incredibly difficult and one of the hardest things to garner are reviews on reputable sites like Amazon and Goodreads. So toward that end I’m giving all of you the opportunity to become a part of my Advance Reader Team. Sign up using the form below and you’ll be taken to the down load page to get a free digital copy of Shark’s Instinct and in a few weeks I’ll send you a reminder email to leave a review. That’s it. No strings, just a free book. I hope you’ll join me as I venture into this new series! PRE-ORDER HERE or join the Advanced Reader Team using the form below! http://bethanymaines.com/wp-content/uploads/2017/05/Shark-Facebook-Ads_desktop.jpg 470 470 Bethany Maines http://bethanymaines.com/wp-content/uploads/2016/08/Aug2016-Logo-op3-300x69.png Bethany Maines2017-09-13 09:00:082017-09-13 02:47:43A New Series with Bite!